Shankar Chowdhary helps himself to walk with cane inside the mahouts compound. Shankar has been elephant handler for 19 years. 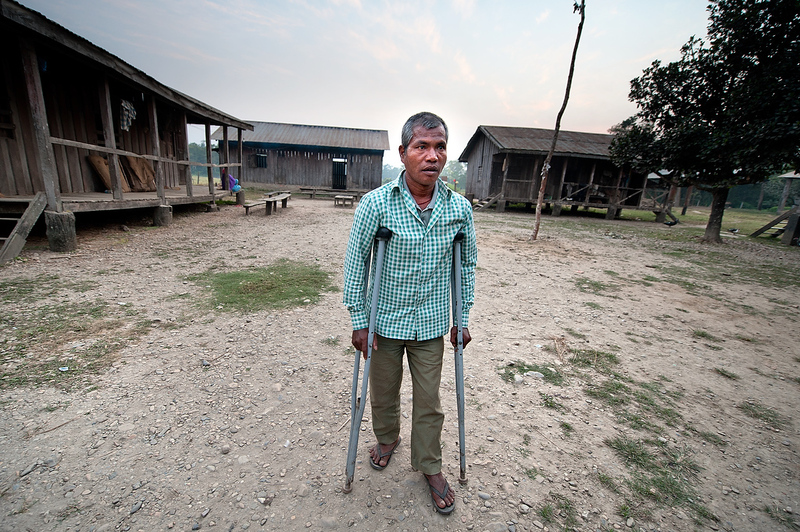 A year and half ago he was injured by the elephant of his colleague while attending his own elephant. The other elephant hit him with his tusks before stepping on his leg. Injuries caused by the elephant rendered him incapacitated up to today and can't ride an elephant.